As Greece enters its seventh consecutive year of deep recession, the country’s debt crisis looks more and more like an unsolvable riddle. The problem is so intractable that, in an unhelpful twist, Europe’s leaders avoid discussing the country’s fate entirely – with the refugee crisis and extremism hitting Europe, no one is willing to address the root problem that has been troubling Greece all these years. This is no other than top down policies, that fail to support systemic change for a real transition to a sustainable future. Following a series of failed bailout agreements imposed on Greece by its creditors, the country has lost one third of its nominal GDP since 2009. It now harbours the highest unemployment rate in the EU. The last year was a roller-coaster ride for the country, with great hope followed by great disappointment when July’s #Greferendum ended in the signing of yet another bailout agreement in August. Greeks are now left to their own destiny, battling with a monster Economic Adjustment Programme that they never opted for and which is, evidently, impossible to implement. The plan is doomed to failure as it includes a set of massive tax hikes and cuts in public spending for health, education and social welfare. This, in turn, obliterates any possibility of social justice and environmental sustainability. Against a background of deregulation, where righting the country’s economy demands the undermining of key social and environmental indicators, including the protection of natural resources, efforts to wake up the country from the slumber of its Grimbo – its current political and economic limbo – must go on. This demands a focus on the economic sectors that are still struggling their way through the crisis. A study by Endeavor Greece has identified food, product manufacturing and information and communications technology (ICT) as the most dynamic sectors in the current economy. The food sector, as an integral part of the country’s cultural fabric, appears to be the most promising way of revamping the recessive economy. 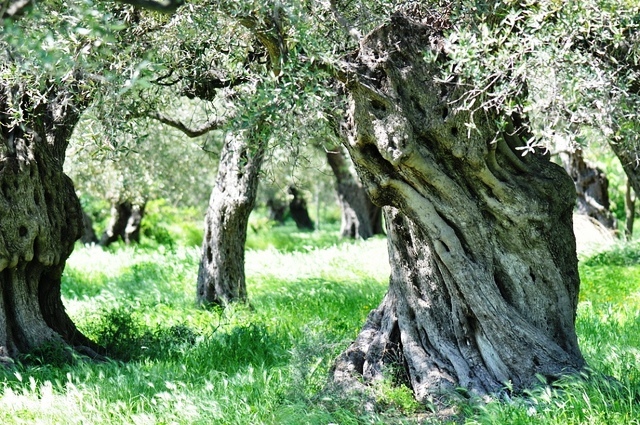 Greece is home to the richest biodiversity in Europe, something that should be the powerhouse of the national economy. Despite its attractive food culture and breathtaking landscapes, the country still lacks a carefully structured plan for a transition towards a sustainable agri-food system. As time passes, the opportunity of making this transition an extremely powerful vector of change and a driver for Greece’s new economy, is being missed. In 2012, a survey commissioned by the Greek Ministry of Agriculture concluded that 1.5 million citizens were considering leaving the cities and returning to the countryside. Back then, few people in Greece and the EU realised that this could turn out to be the largest de-urbanisation movement in Europe. Even fewer saw that this was, potentially, an unprecedented response to what later proved to be an unprecedented crisis. Unfortunately, the Greek government had no real response plan for this domestic migration. Had there been one to support a return to the land and production, the handling of the Greek crisis might have been more effective, lessening the humanitarian havoc that ensued. There is a major data gap in Greece when it comes to agricultural development and natural resource management. Consequently, no one is certain about the accuracy of this massive figure, which correlates to nearly 15% of the country’s population. However, a revitalisation of small farming enterprises across rural areas has started to become evident. The early farming start-ups and cooperatives that have begun to proliferate, were viewed as pilots of a new era of rural citizenship and agricultural innovation. Young people – many of them highly educated, socially networked and fluent in several languages – have started managing their family’s lands, turning them into added value, branded small businesses. In 2013, the first media coverage of the youth returning to the land began appearing. As foreign journalists were reporting on how Greeks were coping with their enormous debt, the country’s young farmers became the new buzz. Around the same time, the first humble steps towards the design of a new identity for the country’s food sector started to appear. A large number of new value-added and quality packaged products made in Greece started arriving in the uptown delicatessens of Greece and Europe. A food blogging scene also developed, discussing the terroir of kitchen and bar. In the political madness of the Greek crisis management, a small but vibrant community of people engaged with food was seeing things through a different eye. Thirsty for change, and entering an economy where alternatives have become a necessity, Greece’s young farmers and food entrepreneurs have the potential to drive the country’s recovery. However, they have never been given the time, resources or power to take their fate into their own hands. In the absence of cash liquidity, bank loans and investment opportunities, this generation is still stuck in a continuous wait for investments, determined by the international creditors’ evaluations on how Greece’s deep austerity programmes perform. More pervasively, the policy gaps that still frame Greece’s agricultural economy do not foster the transition towards a youth-led, climate resilient and independent rural entrepreneurship. Since it entered the European Union in 1981, Greece has been one of the countries that benefitted most from the Common Agricultural Policy (CAP). As one of the first of 15 member-states in the formation of the EU, Greece has a historical precedent for receiving among the largest support per hectare in agricultural subsidies. The vast majority of these subsidies continue to be allocated directly to farmers. Since the policy is designed to fit the needs of industrial agriculture, the CAP traditionally offers the greatest portion to large land owners, who constitute just 17% of the total number of Greek farmers. Coupled by the tendency of Greek politicians to politically manipulate these measures as a way of “buying” votes from the conservative and largely neglected populations of the countryside, the CAP has become the ultimate driver of corruption in rural areas. This is the reason behind the lack of rural innovation today. Three quarters of total CAP funds are paid out in direct payments to farmers, while just a small fraction is invested in rural development infrastructure. As a result, despite the very few projects supported by the LEADER framework of the CAP’s rural development strategy, Greece’s agricultural sector is lagging behind in terms of farmers’ cooperatives and clustering, education, connection to markets, logistics and supply chain management. Despite the hopeful efforts of a few young people in rural areas, there is still not much public understanding about new trends in food distribution, marketing and agricultural resilience. Further, Greece continues to import the majority of its food, even though it has one of the largest per capita agricultural populations in Europe. As long as the wider EU policy framework on agriculture, defined by the current CAP, keeps threatening the very existence of small and medium farms, Greece will find it more and more difficult to stand on its feet. The reason for that is simple: 77% of the country’s farmers are small scale, owning less than 5 hectares of land. These people are never going to make it as long as money does not go where it is needed most. Surely, Greek governments are significantly responsible for the lack of vision and strategy on the delivery of the CAP over the last 35 years. The public dialogue on the issue looks more like a monologue from the Ministry of Agriculture, informed by certain vested interests of the industry and farmers’ unions. However, it is becoming more and more apparent that EU policy is marked by outdated regulations and one-fit-for-all policies for its 28 members, who far too often have different priorities. Ultimately, there is a major political dilemma that haunts the continent and slowly gains centre stage. While some old conservative politicians, like Germany’s finance minister Wolfgang Schäuble, are firmly attached to the idea of sticking to these rules, others, like Italy’s PM Matteo Renzi, are convinced they are killing the European project. The inability to solve Europe’s financial crisis should remind us of one thing. It is probably time to re-visit the foundations of this union and collectively design its future, from the bottom up. The Common Agriculture Policy, EU’s most expensive scheme, should be the first step in this endeavour. It is important however, that this time we get things right, not just listening to the narrow agribusiness lobby, but to the voice of the many who return to the land. Originally published on the Sustainable Food Trust.